Pellet-Berries solve pellet boredom. Pellet-Berries are an exciting result of combining the science of pellets with natural enrichment. 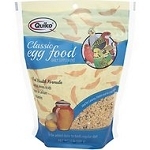 By mixing cranberries, dates, apricots, and natural grains that your bird can individually taste, feel and see, with a pelleted food, a delicious and wholesome meal is created that nearly all pelleted foods are missing. 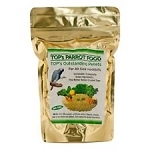 No longer does your bird need to eat fruits and grains that all taste the same and have the same texture because they have all been ground together. 81% pellets, 19% individual fruits and grains. We understand the importance of pellets for companion birds; we invented them in 1973. Dr. Lafeber Sr. scientifically developed the first pellets for companion birds by providing balanced nutrition in a single bite. For many years veterinarians have understood the scientific benefits of pellets. This is why Pellet-Berries are made with 81% pellets. Now veterinarians are recommending scientifically balanced foods that also provide excellent foraging. This is why Pellet-Berries are made with 19% individual fruits and grains. Veterinarians recommend Pellet-Berries for foraging and enrichment. Leading edge avian veterinarians across the country recommend foraging and enrichment to reduce a bird's boredom and associated behavioral problems. 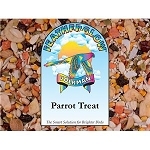 Your bird's meals need foraging and enrichment excitement to solve pellet boredom. 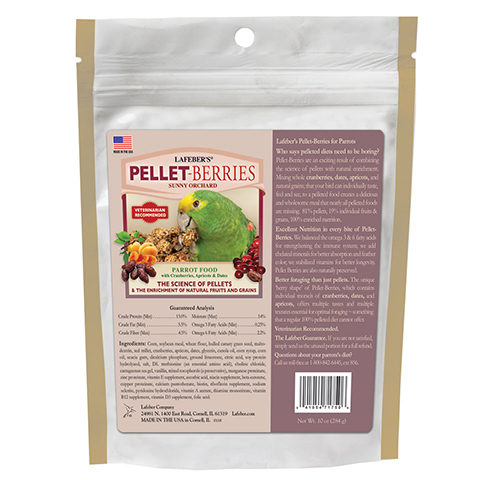 With Pellet-Berries your bird enjoys the crunch of pellets, seeds and grains, the tastes and textures of biting into real pieces of cranberries, apricots and dates and the round shape of the whole Pellet-Berries. Excellent nutrition in every bite of Pellet-Berries. We balance the omega 3 & 6 fatty acids to strengthen the immune system, add chelated minerals for better absorption, stabilize vitamins for better longevity and naturally preserve our foods. To insure the scientific accuracy, an independent laboratory tests all of our foods. 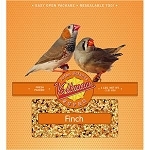 Lafeber Company is one of the few food companies that produce all of their recipes in the United States under one roof. All of our products are proudly manufactured on Dr. Lafeber's great grandfather's farm in Cornell, Illinois. Carefully watching our food production from beginning to end allows us to produce the highest quality pet bird food available.